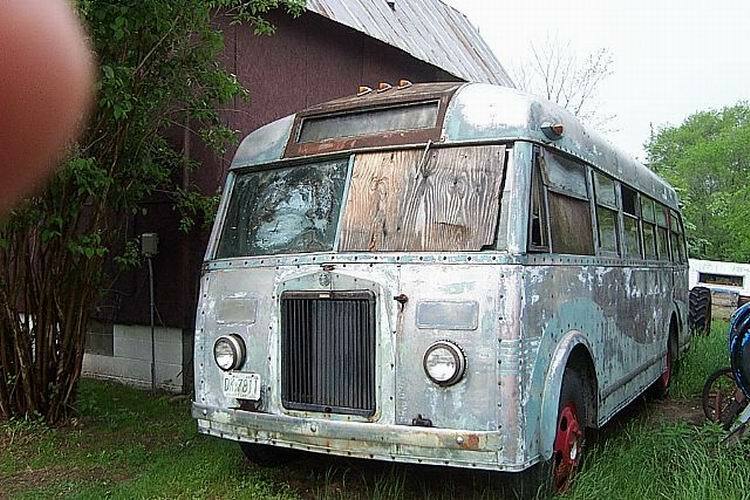 There is almost no information about DITTMAR. 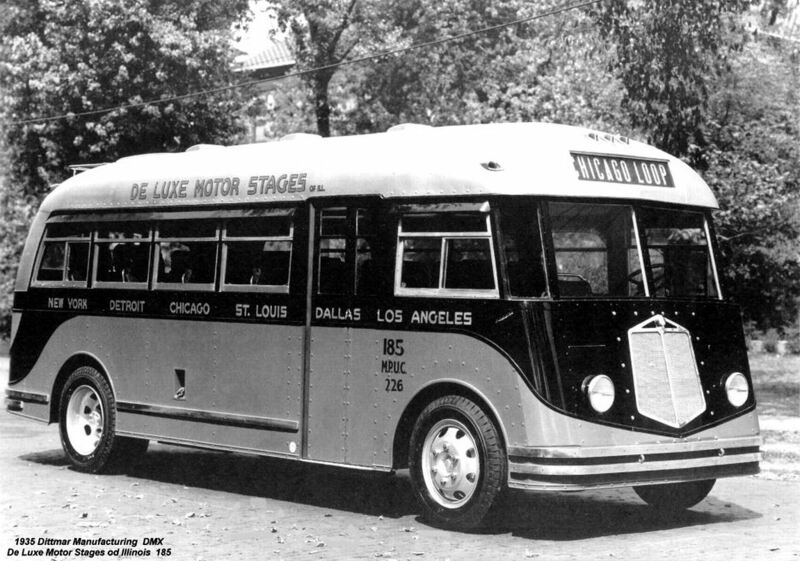 Paul O. Dittmar started South Suburban Motor Coach Co. to operate between a Chicago rapid transit terminal and outlying suburbs in 1927, and in 1931 he and others formed SafeWay Lines, Inc. for the purpose of establish­ing a deluxe nonstop bus service between Chicago and New York. 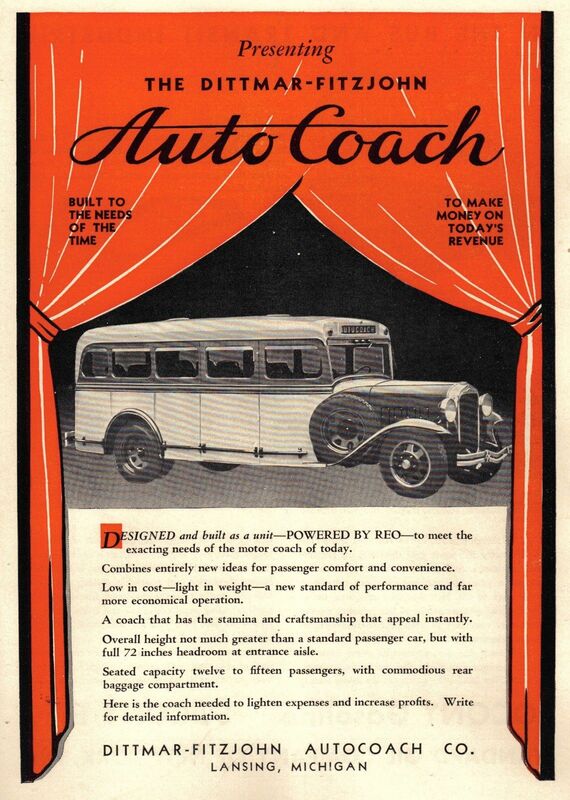 For this venture he teamed with Harry A. Fitz­John to design the so-called Autocoach, a compact 14­-passenger sedan-style parlor bus which was built by Reo. 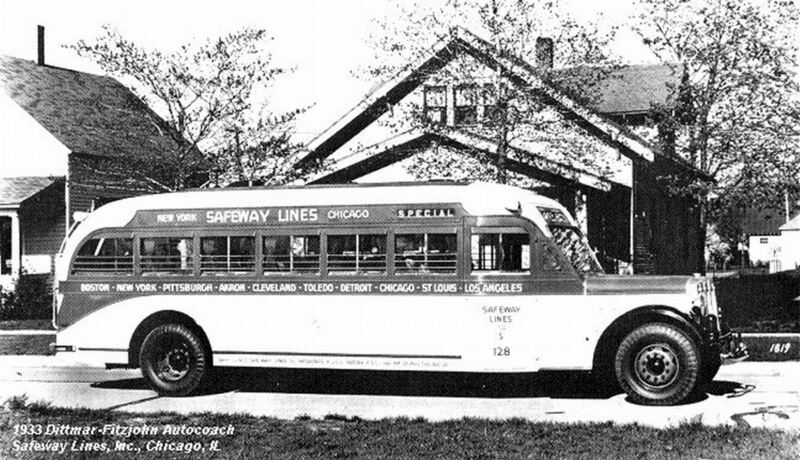 SafeWay Lines was soon sold and turned away from the small Autocoaches, but in 1935 Dittmar again designed a bus of his own, this time for the suburban company, now expanded and known as South Suburban SafeWay Lines. 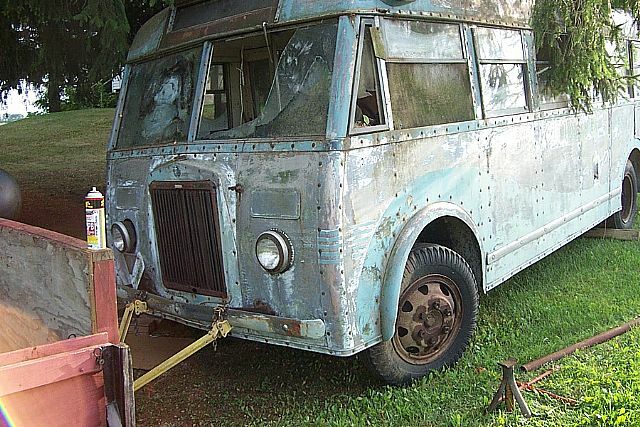 The DMX had, an aluminum-alloy cab-over-engine body and a Hercules engine, and during the years of its produc­tion several different models were offered with seating capacities from 25 to 33. 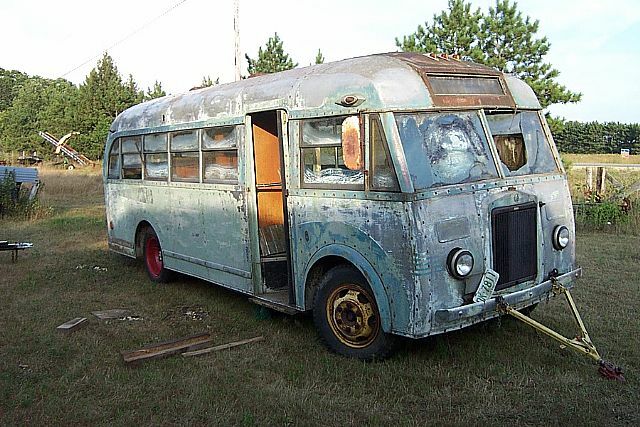 About 150 were built,’33 of them delivered to South Suburban Safe W ay itself.